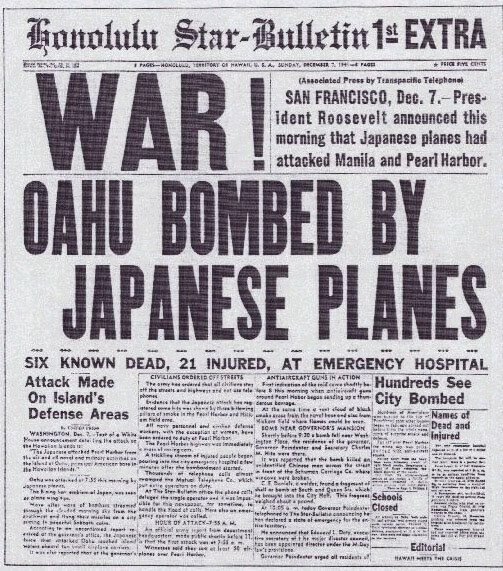 Today is December 7th, the 69th anniversary of the bombing of Pearl Harbor. "A date", like Franklin D. Roosevelt announced, "which will live in infamy". But this is old news. Most veterans of World War II are dead (those who aren't should live and be well for a long time), the United States is good friends with Japan - why do we still care about December 7th? Because we haven't learned the lessons of Pearl Harbor. There is a new Pearl Harbor visitor's center that has been built to commemorate that fateful day. One Pearl Harbor veteran, Durrell Conner is there to be a part of the memorial proceedings and understands the lessons to be learned. Conner hopes the new center will help the public remember the lessons of Dec. 7, particularly the need to be prepared. "For anything that might happen. There are a lot of people that don't like us and would like to see us destroyed. We have to keep alert all the time," he said. Mr. Conner is exactly right. There are people out there that "don't like us and would like to see us destroyed." Next September, the United States will commemorate our own Pearl Harbor, the attacks of 9/11, almost a decade ago. 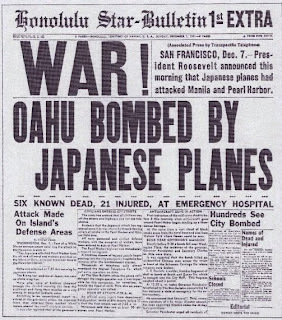 An attack that murdered more Americans than were murdered at Pearl Harbor. Have we learned anything from the attack on Pearl Harbor? Or is this a commemoration of an event long past that has no real relevance to our lives today. I'm not sure we have learned the lessons. We see at the airport that all Americans are treated as terrorists wanna-bees. And if you complain about why a nun is pulled over for extra screening, while Muslim males between the ages of 18-40 paying cash for a one-way airplane ticket are free to fly, you are called a bigot and a racist. Does this make sense? Obviously, our Pearl Harbor veterans "get it". We've already had our equivalent attack just a decade ago... have we already forgotten?